You've heard it countless times before, but it bears repeating: Nobody does detail like Disney. In previous Attention to Detail posts, we've looked at lamp posts and trash cans, and we took a little excursion through Tower of Terror. 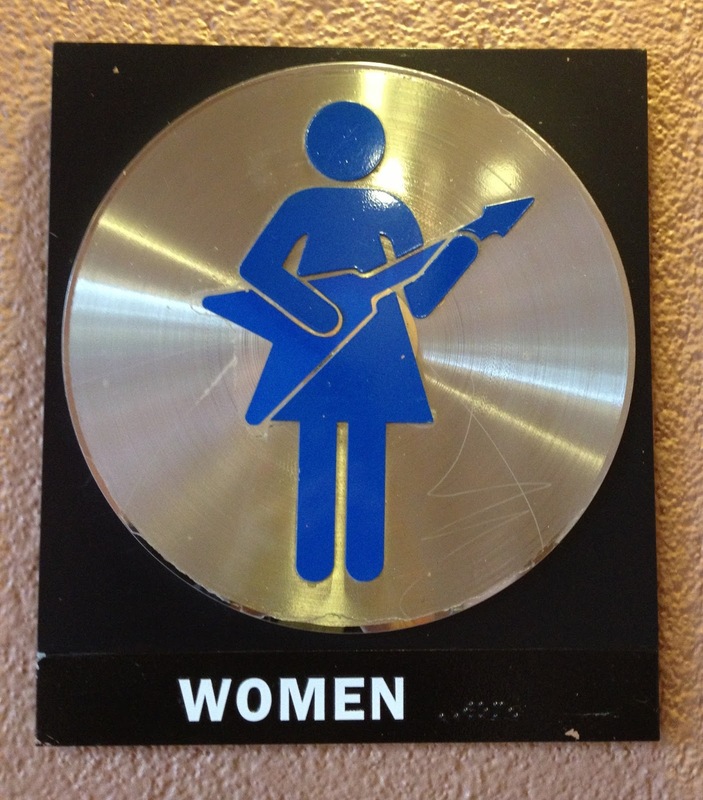 Next up: Restroom Signage. When you gotta go, you gotta go, right? Fortunately for us, Disney's Attention to Detail extends to the loo! Often overlooked, many of these signs pointing the way to the all-important rooms of relief are themed to their surroundings. Some are quite obvious, while others are rather subtle. At the time I took these photos, I thought for sure I'd remember the location of each and every one. Alas, there are at least two here that I'm not not sure of. How many of these locations can you identify? The next time you visit Disney's parks and resorts, keep your eyes open for attention to detail- and remember to notice the signs when you head to...the head. F: I don't know... Animal Kingdom Lodge? G: New Fantasyland near BOG? I: Near Tom Sawyer Island? I've never been to Disney, so I can't begin to guess, but I'm fascinated by the uniqueness and variety of the signs! Thanks for sharing! I just stopped by from SITS to say hello; hope you can do the same. Every time I go to Disney, I am taken again with just how seriously they take their commitment to detail. They REAALY know how to make every bit count. It's just a part of the magic. I don't know that I've ever noticed the one for Rock 'N Roller Coaster. It is awesome! This is why I love Disney! Really, is there any other company that goes that far? We're going again in October and I'm totally keeping my eyes peeled for all of these tiny amazing details!